#HoneyBeeLujah Show - June 1, 2014. 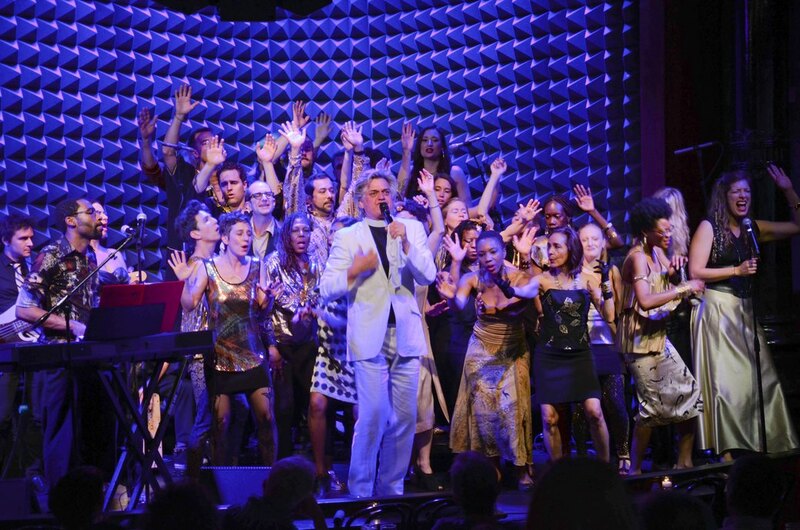 All photos courtesy of Reverend Billy. Fifteen years ago, he was known to the world as developing performance artist Bill Talen. Over time — and with the help of several friends — Talen developed a persona whose mode of preaching mirrored that of a televangelist; only this reverend styled his blond-highlighted hair in a pompadour, and his sermons couldn’t have differed more from his telegenic predecessors. Now, bedecked in a white polyester suit and clerical collar, the Elvis-meets-Bill-Graham character and his Stop Shopping Choir are bringing their anti-corporatist, environmentalist mission to Bushwick's own Market Hotel to launch his new book, The Earth Wants YOU, and album of the same name, via City Lights Publishers. This event, held on April 10, is the first of a nationwide tour to 20+ cities. Unconventional? Sure. 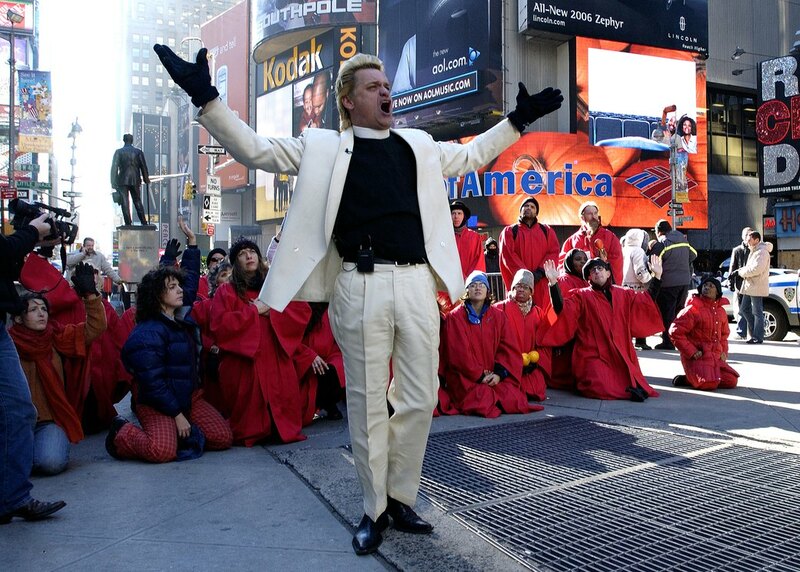 But Reverend Billy and the Stop Shopping Choir have practiced their brand of creative direct action for the better part of the 21st century. Based in New York City, they’ve taken their activism from Occupy Wall Street to the St. Louis offices of Monsanto (and the police station in nearby Ferguson, Missouri) to the stage at Joe’s Pub at the Public Theater in New York, and out into arenas opening for Neil Young. 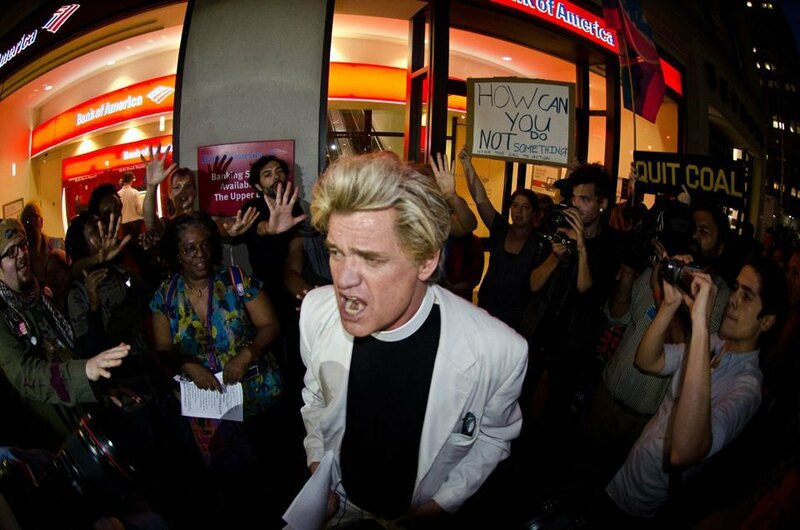 Reverend Billy was even the subject of Morgan Spurlock’s documentary, What Would Jesus Buy? So, even if you don’t end up undergoing a spiritual conversion at the show, your $12 will still grant you access to what promises to be an earth-driven and exceptional spectacle. 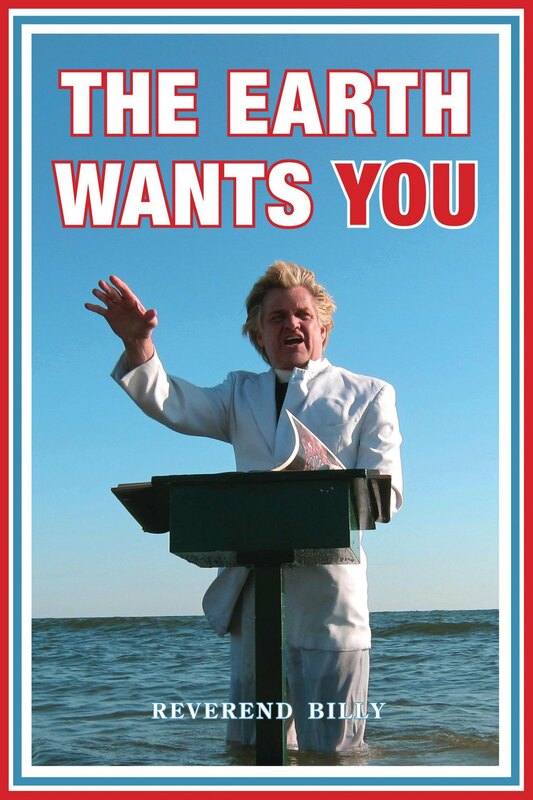 “The Earth Wants You” book and album launch at the Market Hotel (1140 Myrtle Ave. between Jefferson and Troutman Streets in Bushwick) on April 10 at 9 pm. $12.